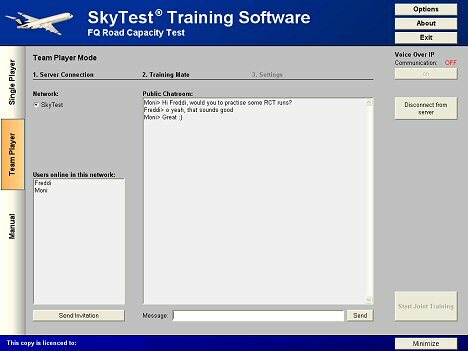 The Road Capacity Test (RCT) is the second computer based screening method you will encounter at FQ-assessment-center. RCT is conducted to measure your team-working capacity for your future job as a commercial pilot in a multi-crew aircraft. The task comprised is a rather abstract, though. 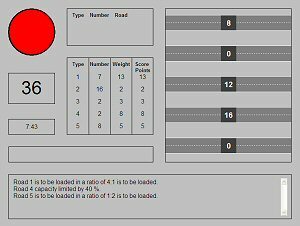 In principle, you are to assign weights from a given assortment to roads the capacity of which is restricted by a maximum load. 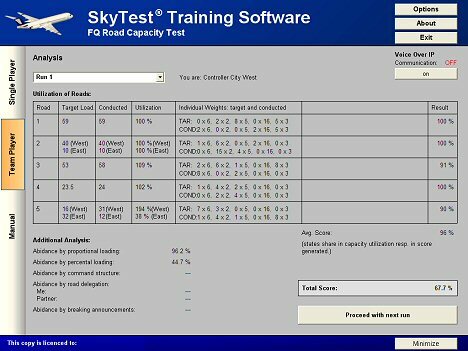 The SkyTest® software module for RCT preparation is designed for realistic training and enhancement of the skills necessary to pass the test. Training may be conducted in single and team player mode. 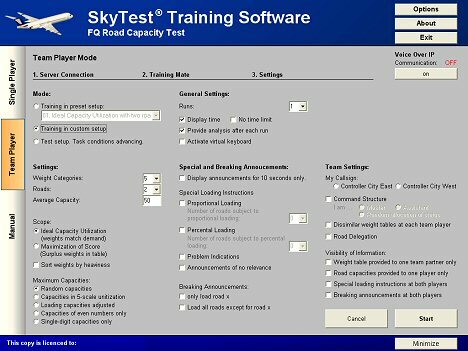 The software comprises all standard training scenarios relevant in screening and offers comprehensive setting options for customization of training. All tasks are randomly generated. You may connect with other users via a server interface to conduct joint training sessions. Single and team player mode. Voice-over-IP interface to communicate with other users online. Login information to access our server is obtained automatically – technical knowledge or experience is not required. Online training with other users. Preset training scenarios for early and advanced level preparation. Wide range of different training premises. Custom integration of training options in nearly any task. Extensive analysis tool to track and review your training performance with. 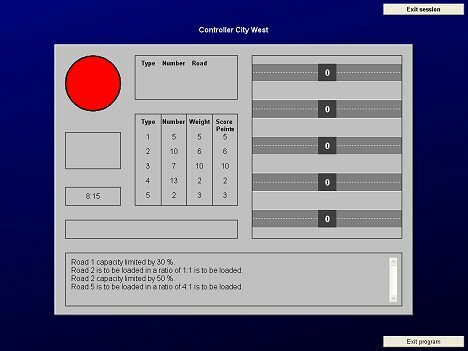 Randomly-generated setups to avoid recurring training layouts. Highly customizable setup for individual training.